Canadian-born terror suspect, Omar Khadr, was 15 years old when he was arrested on a battlefield in Afghanistan and sent to Guantanamo Bay. Eight years later, he now stands trial in a military commission process for committing terrorist acts, and the killing of a U.S. Special Forces soldier. According to Navy Capt. David Iglessias, if Khadr is convicted by the panel of 15 military jurors, the government will then ask for life imprisonment. Several groups, including Amnesty International, have been critical of the Military Commission process, and claim that Khadr’s age is legally relevant to the proceeding. MOMism: “The coming of age.” We think of acne, puberty, high school dances, sleep-overs, first crushes, mitzvahs of some sort, driving, many milestones that mark the coming of age. As our kids get older, they enjoy certain freedoms and shoulder different responsibilities that come with these milestones. Because we all know that with freedom comes responsibility. Are they ready? When should we let them walk to the park alone? When should they be trusted with a cell phone, or be able to babysit? Is there a magic age, or does personality make all the difference? How do we as parents decide? Is it a case-by-case basis or do we set out general age guidelines for certain freedoms and responsibilities? The same could be said for the consequences to crossing the line and breaking the rules. 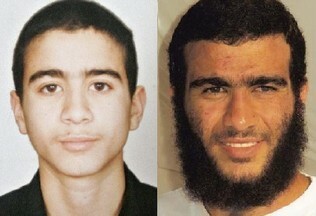 In this case against Omar Khadr – should a 15-year- old insurgent be treated in the same manner as his adult counterparts? Does equal justice apply, or should we use a different standard for disciplining juveniles? Even though terrorist organizations are militarizing children, should we be prosecuting them as if they have the same maturation and responsibility as their adult comrades? In the U.S., we have a criminal justice system that recognizes the difference between adult and juvenile felons, and prosecutes accordingly. So, an American soldier is dead as a result of Khadr’s actions. As a country, do we acknowledge that insurgents may be “children” and decide a different course of action for the youngest of terrorists? Or, stay the course and have the same rules apply, regardless of age?